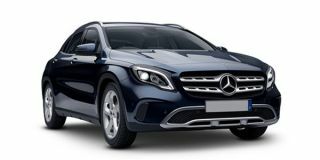 Mercedes-Benz GLA Class 200 d Style is the base diesel variant in the GLA Class lineup and is priced at Rs. 32.33 lakh (ex-showroom, Delhi). This base variant comes with an engine putting out 136bhp@3600-4400rpm and 300Nm@1600-3000rpm of max power and max torque respectively. The gasoline motor comes mated to 7 Speed Automatic transmission which is quite a joy to use. Mercedes-Benz claims an average of 17.9 kmpl for this base 200 d Style variant. Q. Which one better segment in suv class Audi Q3 upcoming 2019 modelor Mercedes Benz GLA class 2019? Q. Which is better between GLA Class and Endeavour?